Who among us can deny herself the occasional sweet? 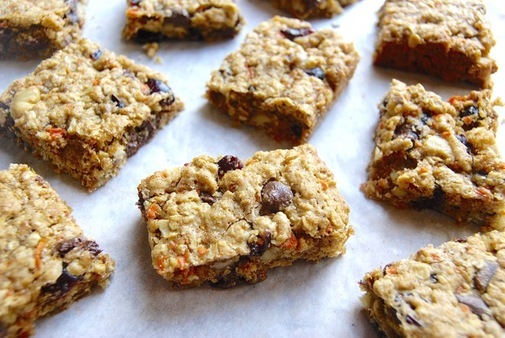 These “super bars” include 10 healthy ingredients research shows may help prevent breast cancer. You want to eat healthy. And you try, you really do. But when the siren song of dessert proves too tough to resist, turn to something that offers not just a fix for your sweet tooth, but nutritional benefits in the form of fiber, antioxidants, and healthy plant-based phytochemicals. Something like these Super Bars. Now, don’t be daunted by the long list of ingredients; many are just tiny bits of spice. 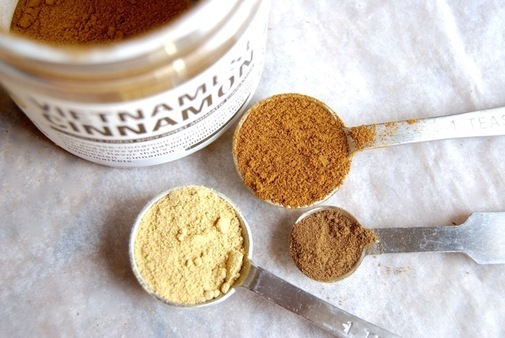 But those spices – including cinnamon, ginger, cloves, and allspice – contribute to these bars’ cancer-fighting properties. 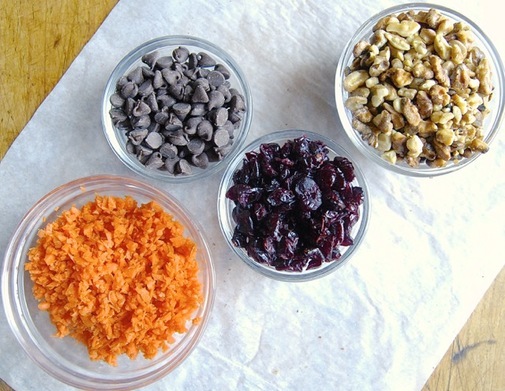 Next up: a helping hand from some of our favorite natural ingredients, including carrots, cranberries, dark chocolate, and walnuts. These foods offer omega 3 fatty acids, antioxidants and phytonutrients, all of which have been shown to fight cancer. 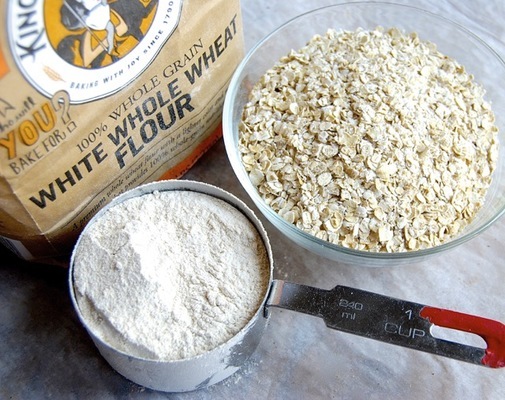 Finally, let’s add a healthy amount of fiber in the form of whole wheat flour and rolled oats. We all know whole grains are heart-healthy; but some studies also point to a link between whole grain consumption and cancer risk reduction, both from the grains’ fiber, and phytonutrients. You may think you don’t like whole grains. But who doesn’t love oats in the form of cookies – or a warming bowl of porridge? And when you choose white whole wheat flour, you’re getting all of the benefits of standard red whole wheat, without the typical strong taste and dark color. Stir until everything is well combined. Scoop the batter into a lightly greased 9” x 13” pan, smoothing the top. 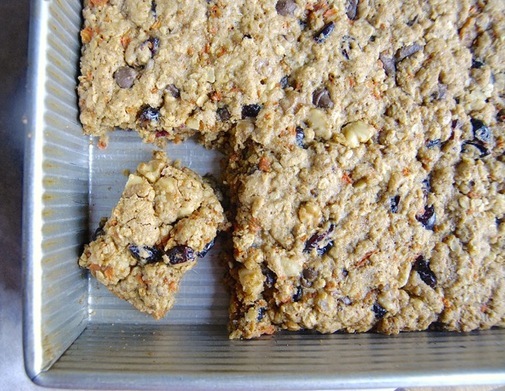 Bake the bars for about 25 minutes, until a toothpick inserted into the center comes out clean. Remove them from the oven, and carefully (they’re hot!) 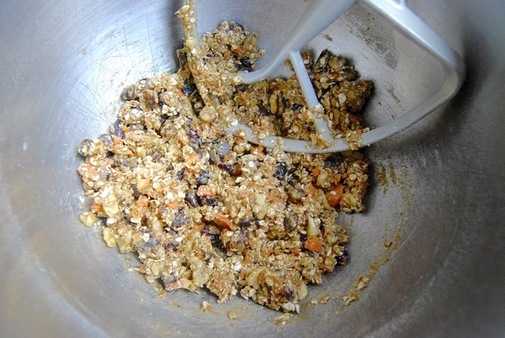 and gently press them down; this helps keep these potentially crumbly bars in one piece. 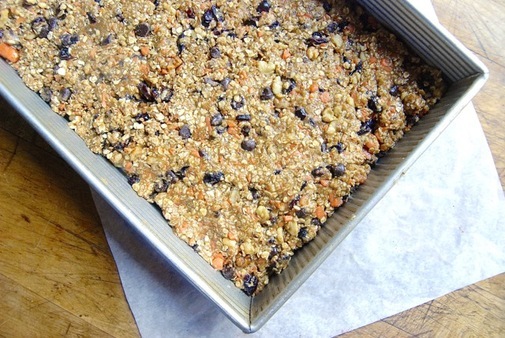 Let the bars cool, then serve them right from the pan. Want to Lower Your Risk of Breast Cancer Recurrence? Eat Healthy!